Today’s post should have been about my favorite novellas or short stories. But truthfully, I don’t like novellas. I will hardly ever pick them up. Not even (or perhaps especially not) when they are a novella set in my favorite fictional world or featuring my favorite fictional characters. I just don’t. Why is that? Honestly, I’m just not interested in a short story. Even though they can be great and exquisitely written and can greatly enrich the world already built upon. I just never feel like they will satisy my craving for a story, for an emotional punch, for answers to my questions. I feel like they will even do harm to a story I already know and love if the novella does not live up to my expectations or will be as great as the original story. And how could they when they are so short? I usually need several chapters to even get really emotionally invested into a story, but by then the novella is already over. So I always think I’m just setting myself up for disappointment by reading a novella. And the solution is to just stay away. As such, I have not read the novellas or short stories set into some of the worlds I love. I have for example not read, nor do I intend to read J.K. Rowlings Tales of Beedle The Bard even though I consider myself a Potterhead. I have not read Stars Above or Fairest set in the Lunar Chronicles world, which I adore. I have not read any of the Shatter Me novellas, even though I love that series. I do not intend to read Through The Dark, set in the Darkest Minds world. And when I did read a novella, I was only proven right in my dislike or disinterest. I did read The Short Second Life of Bree Tanner when I was in my Twilight phase and hated it. I also read and did not care for Roar and Liv, though I adored these characters in Under The Never Sky. Maybe because they were 5 novellas bundled together in chronological order so it kind of felt like a book. Maybe because I read them at the height of my Throne of Glass obsession. Maybe because they packed quite the emotional punch. Maybe because we did learn so much through these prequel novellas and got to know characters we actually saw again later in the series so it felt like an actual part of the series, not just an add-on. For whatever reason, I adored these novellas and they are actually my favorite to this day. This is another bundle of companion novellas that I honestly would have normally scoffed at. Why? 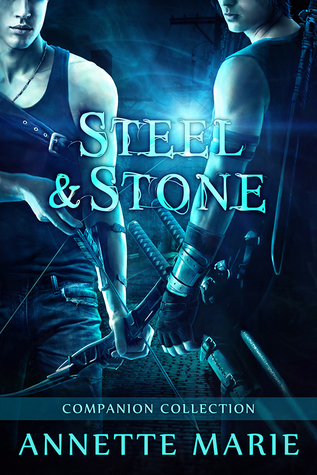 Because they are basically just a retelling of important scenes from the Steel and Stone series, but told from the POV of either Lyre or Ash, two main characters who didn’t have their own POV in the series. Now normally, I would not be interested in reading this, let alone spend money on reading scenes I’ve already read but from another POV. BUT in this case I did. And I was happy I did. Maybe because I am a big Annette Marie fan and I would read her grocery list with pleasure. But mostly because I did feel like these novellas taught me something new about these two characters that were previously still kind of mysterious and hard to read. As such, they really enriched the world and I was happy to have read them. Even though I ADORE the Grisha world, I probably would not have picked up this collection of fairy tales from the Grisha world myself. But I got it in a Fairyloot box, so I thought ‘why not?’ and gave them a try. AND BOY AM I HAPPY I READ THIS! This was amazing. These stories are each so whimsical and magical, but with a dark twist and a hidden message and I loved it so much. How do you feel about novellas or short stories? Interesting thoughts, and I can totally see where you’re coming from! I remember I read one of the like… literal drabbles for The Raven Cycle. Like, it was not advertised as a short story. It was advertised as a drabble and that’s what it was. But I still was like, what was the point? It can also be annoying where you HAVE to read novellas for the series to make sense. Like, Tales From The Shadowhunter Academy is my favorite Shadowhunters book lol, but I understand not wanting to read it, and it can make following some things in Lady Midnight confusing, and that’s just annoying. However, if you’ve read the Daughter of Smoke and Bone trilogy, I HIGHLY recommend Night of Cake and Puppets. Tbh, I thought Mick and Zuzanna (forgive my spelling if it’s wrong, I listened to them all on audio lol) had a better love story than Karou and Akiva… And the novella was long enough to satisfy me and it was just PERFECT. I’m not much of a novella (or short story) reader either, but I have read more in the sub-genre these past few years, and 98% of the time, I enjoy them. 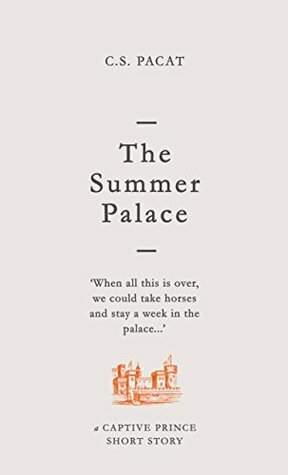 It also seems to be a trend to publish novellas in-between series books, which I think is interesting, but wonder if it’s necessary. Glad to know you discovered some short story collections to enjoy, Lindsay (this reminds me I still have to read a Leigh Bardugo novel!). I feel the same way about novellas! I want to be truly invested in the characters and the story, and you can’t really do that with novellas. Sometimes it is nice to read just that little bit more about your favorite characters (especially in a fantasy series) but it never feels like enough for me. 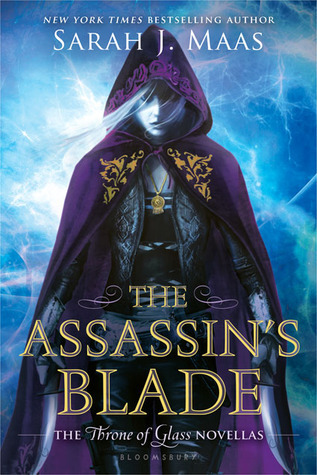 I did like The Assassin’s Blade when I read it a few years ago! I haven’t read a ton of novellas (or short stories) either, although when I did this topic I realized I’ve read more of them than I thought! 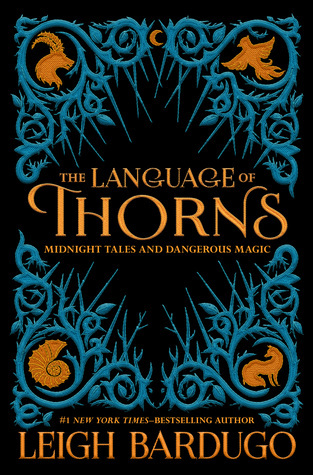 I do think The Language of Thorns looks really good tho, I like the sound of the twistiness and that it’s kinda dark. A few years ago I rarely read novella’s and short stories much for the same reasons you mentioned. These days that is quite a bit different. I enjoy anthologies more and more as long as I am highly selective. And some authors really know how to write a proper novella. I don’t typically read novellas or short stories, either. I did think Fairest was a good addition to the series, but like Cori above, I don’t like when the novellas give information that should been made clear in the series. I can totally understand where you’re coming from here. Although I do love a good short story/novella, it takes a special skill to write one that feels satisfying. I’m glad you find a few that you loved. Most of the time I don’t really feel the NEED to read a short story/novella in a world that I love, though I have read Fairest and I plan to read Stars Above. They don’t really ruin the books/series for me, though I get where you’re coming from. I like anthologies because I find them kind of fun, though I rarely love a ton of the stories – or I just want more. LOL Granted, I don’t read a ton of them so yeah, I mostly stick with full-length novels. I didn’t read many novellas either, but sometimes I pick up one when I just can’t get enough of the characters or the world. When written right, I think it could help me understand the characters/world better. Anyway, I definitely need to read The Language of Thorns since I love Leigh Bardugo’s world! Tiffany @ String of Pages recently posted…Looking for A Quick Reads? Check Out These Novellas! The Fairyloot edition of The Language of Thorns is so beautiful and the reason why I bought that particular Fairyloot. SO AMAZING GAH! I’m not a big fan of novellas, although I’m coming to like short stories more. They can pack a more powerful punch, and I like the way some authors weave themes and even characters across the stories. Novellas for me are just too-short books – though I did like Binti, All Systems Red, and Slade House. I’d really like to read something by Leigh Bardugo so I’ll put this one on my list. I didn’t know those novellas, so I’ll have to check them out! I love novellas and short stories, but I can see your point. Writing something short is different (and sometimes harder) than writing something long. There are a lot of authors who write good novels but are terrible at short stories. Their short stories only sell because their novels are successful. I don’t read a lot of novellas or short stories. I do read the ones that belong to series that I love though, like Life Before Legend (and I basically paid $11 so I could read Life After Legend because I bought Warcross in paperback just for that story). I am not particularly averse to them, there are just so many other good things out there to read that I’d rather buy a novel. Most of the short stories that I read are fanfiction as a result. When the authors offer their short story add-ons for free, then I’m more likely to pick it up, but I’m not likely to pay $2 for it unless it’s one of those stories that I rave about over and over and over again. I will often see popular full-length novels for that price (I recently paid $2 for Ace of Shades and $3 for The Poppy War). 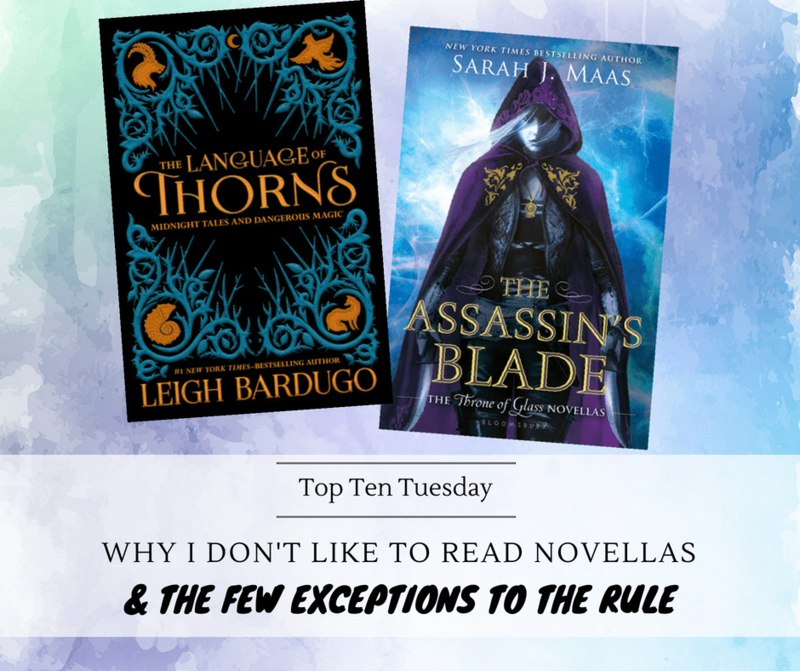 I loved The Language of Thorns and The Assassin’s Blade too, but like you, I’m not a massive novella fan, I prefer longer stories, just so I have more time to get into them! I’m so late to this post, but I saw it in your round up and had to come check it out! I’m one of those readers that adores novellas and short stories. SJ Maas ones don’t count since they’re almost as long as novels in themselves! Ha ha. But seriously, I love getting more of things that I loved and seeing bits and pieces of the world I didn’t expect etc. Assassin’s Blade I’m currently re-reading and I agree to ALL THE THINGS you mentioned. I’m already soooo sad. #allthefeels.